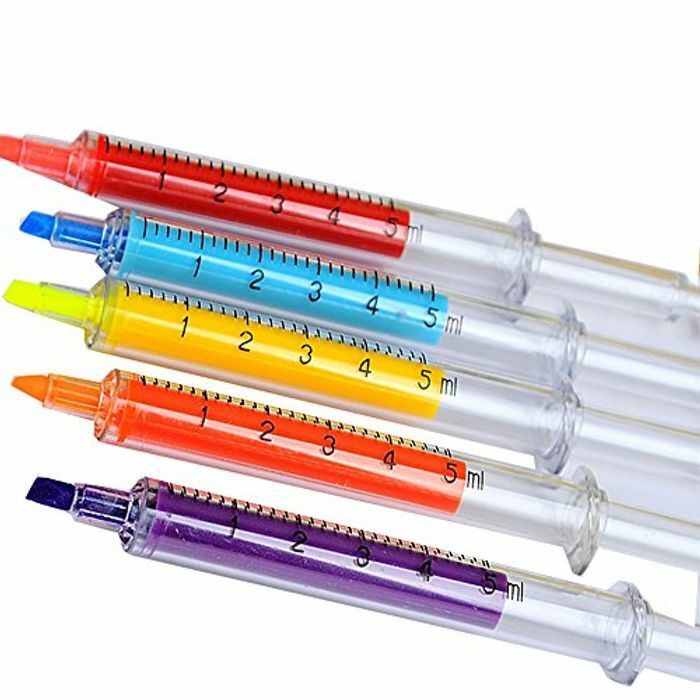 Liquid filled, click-action, syringe shaped Highlighter . Come with fluid measurements on one side. Also refillable! Just unscrew the bottom, pop in a re-fill and you are set. Great for children who are afraid of shots. Make great gifts for doctor's, nurse, dentist, office workers, Halloween, etc. NOTE: Colors will ship in random. Probably not a great idea for kids but I think these look ace! They are a great novelty gift for adults, thou I'm not sure I have ever seen highlights refill fluid?? It will be a surprise of how many/what colour you are going to receive?